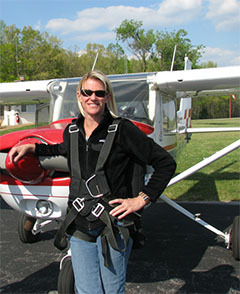 Contact Chief (and only) Flight Instructor Catherine Cavagnaro at catherine@aceaerobaticschool.com or 931.636.8678 with any questions or secure a training date. To schedule a course, I accept a $200 deposit and send a book that can be studied in the interim. Discounts are available for groups of two or more who wish to train together. Contact me for further details.